I thought I would share some of the process of how I make my bowls. 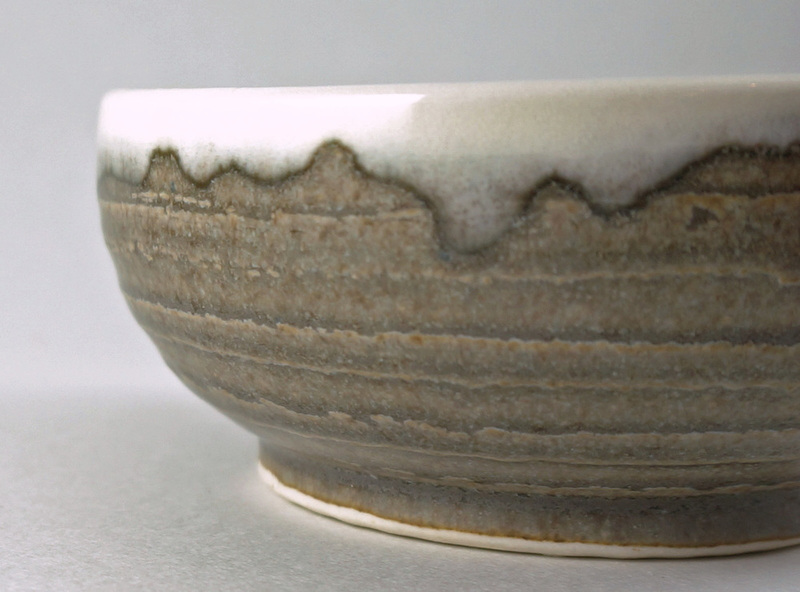 Throwing the bowl and the formation of the unbroken curve. Trimming the bowl and creating the foot. This is done after the pot dries slightly to the desired consistency. Sharp tools are a must and porcelain tends to dull them pretty quick. 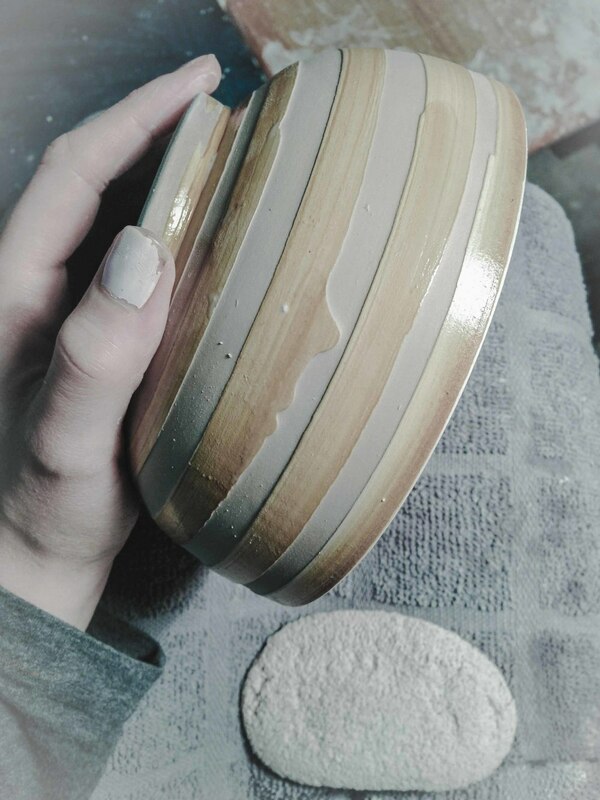 When it dries completely I put shellac lines on the outside of the bowl. 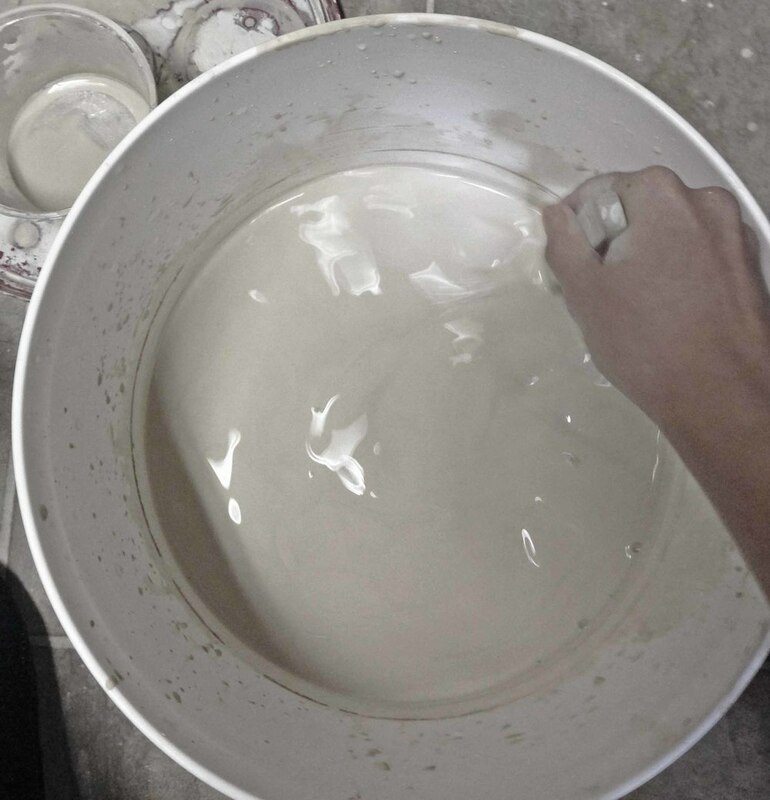 After 12 hours I wipe the clay between the lines away with a sponge to create texture. 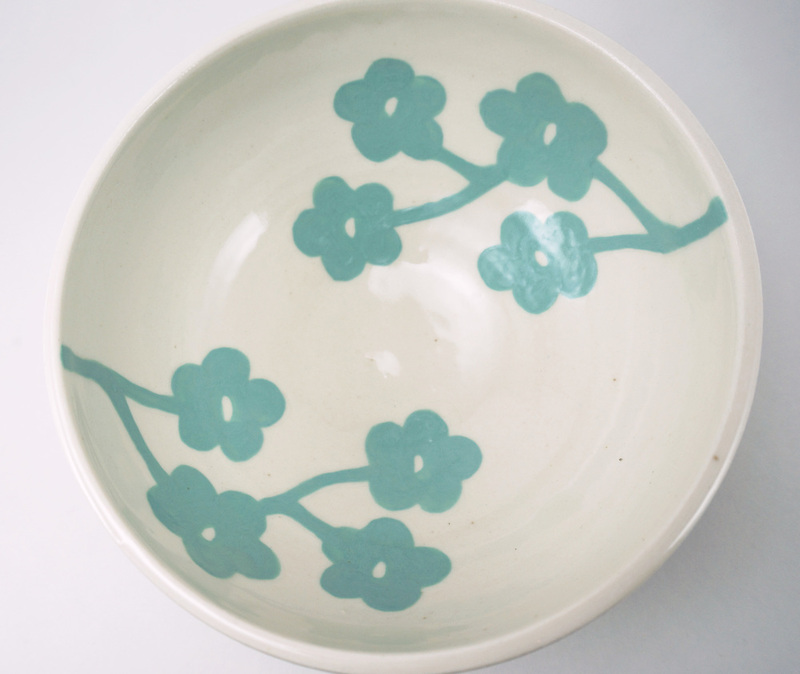 Next comes my favourite part, I paint my design on the inside with underglaze. The bowl then goes into the kiln for the first firing. Next I glaze the inside and outside and it goes back in the kiln for the glaze firing.